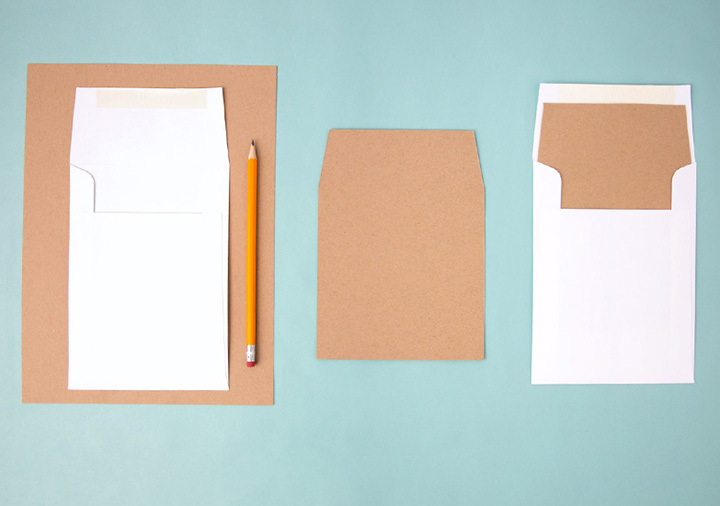 Create a template by tracing your envelope onto card stock. Measure (or guesstimate) how much space to leave at the top for the seal and draw a line across with a ruler. Trim all sides with a paper cutter to achieve straight lines. 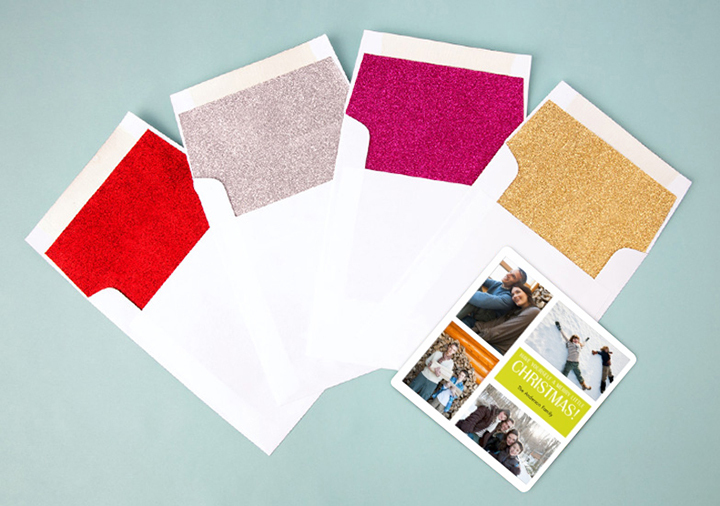 Slide the card stock template into the envelope and position. You may need to trim the card stock if necessary. 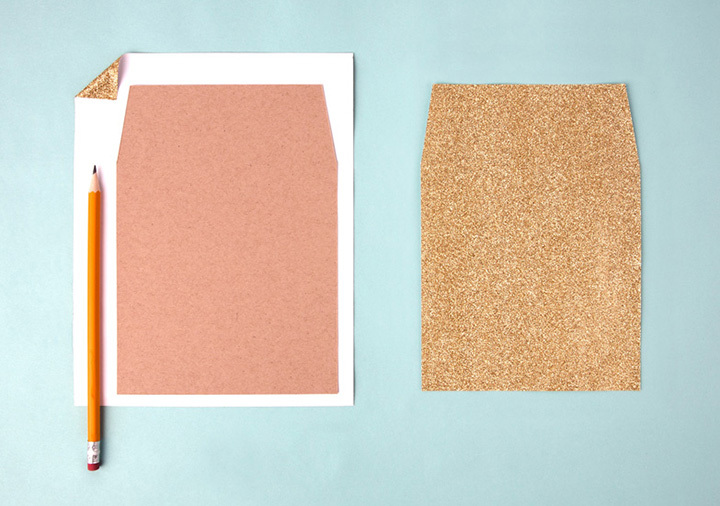 Tip: To conserve glitter paper, template length can be half that of your envelope – as you won’t see much paper below the flap! Place the glitter paper right-side down. 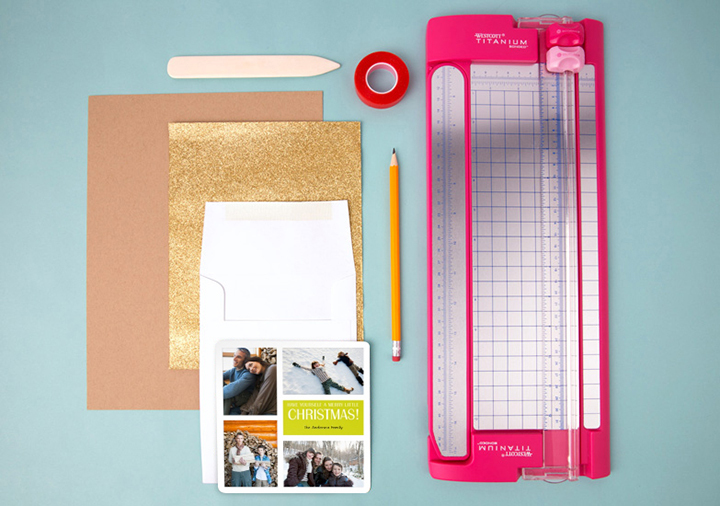 Trace the card stock template onto paper with pencil and trim the sides with your scissors. 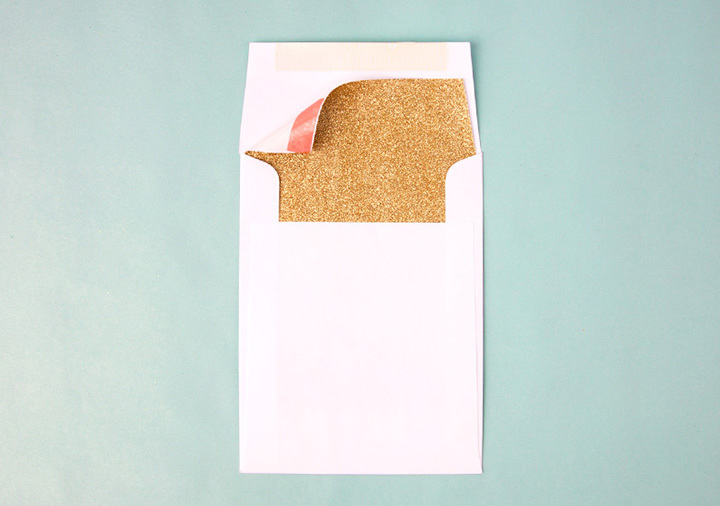 Adhere double-sided tape to the wrong side of paper, shimmy into envelope, and press down. Pop in your signed card and call it a (holi)day! Mix and match designs with a variety of liners. 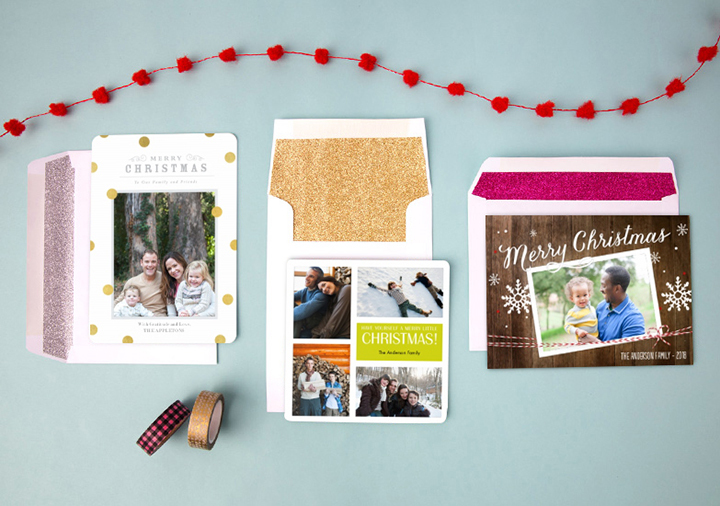 Your card recipients will be delighted to see such a personal and professional touch. Browse the our full selection of Christmas cards! Tagged as Christmas, christmas cards, DIY, glitter, glitter envelopes, greetings cards, how to, personalised cards, personalised Christmas cards, personalised photo cards, photo cards, snapfish, snapfish blog, snapfish cards, snapfish uk.